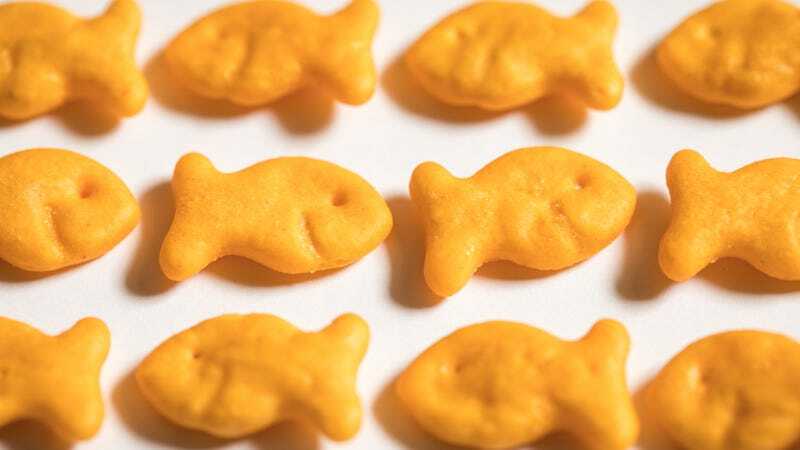 We were still recovering from yesterday’s news about the voluntary recall of Ritz sandwich crackers when we got an even more devastating update: Now Pepperidge Farm is voluntary recalling 3.3 million units of Goldfish Crackers in the following varieties: Flavor Blasted Xtra Cheddar, Flavor Blasted Sour Cream & Onion, Goldfish Baked with Whole Grain Xtra Cheddar and Goldfish Mix Xtra Cheddar + Pretzel. The culprit, CBS News reports, is the same as with the Ritz: suspected salmonella in a whey powder. “The company took the action Monday after one of its ingredient suppliers notified it that whey powder used in a seasoning may be contaminated.” And as with Ritz, no illnesses have been reported; the recall is a voluntary measure. This makes us feel slightly better, but not much, as our snack options appear to be dwindling rapidly. And our hearts go out to all the toddler moms whose snack times depend on Ritz Bits and Goldfish Crackers.